January cold temperatures make a warm weather getaway sounds enticing. 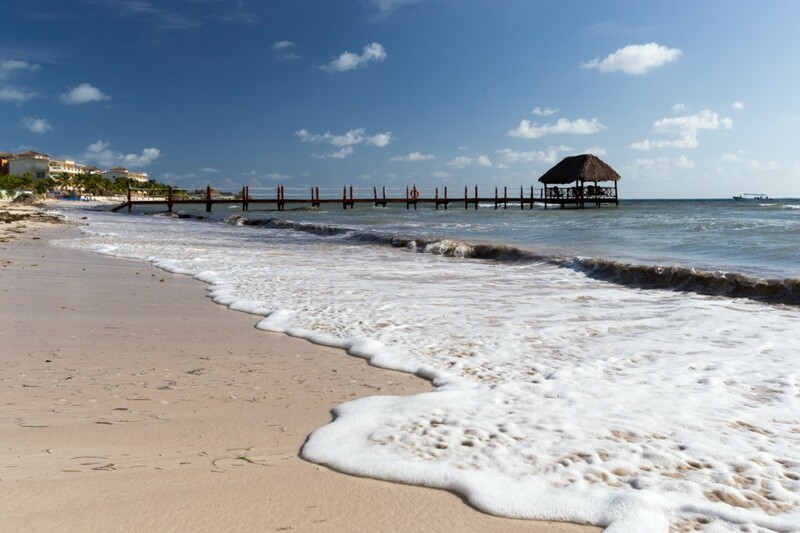 The Riviera Maya in Mexico becomes an ideal escape as flights to Cancun are plentiful and most resorts offer all-inclusive rates which help make budgeting or peso pinching easier. I recently spent a few nights at Karisma’s Azul Sensatori, a hotel offering gourmet inclusive service. All meals including some fabulous Mexican fare, alcoholic drinks, room service and entertainment were included in the nightly rate. And let me say, I ate and drank well. The posh rooms were very spacious and airy and included an ensuite hot tub. I got to pick my choice of pillow and soap fragrance when I met with the concierge. The landscaped grounds ran green and lush, like a botanical garden bordering a sandy beach and the ocean. Pools were plentiful and one include a swim-up bar. Playa del Carmen, a hot spot for travelers, is about 30 minutes away. Tulum sits at the edge of the water. Sunshine and surf aren’t all the Riviera Maya has to offer. 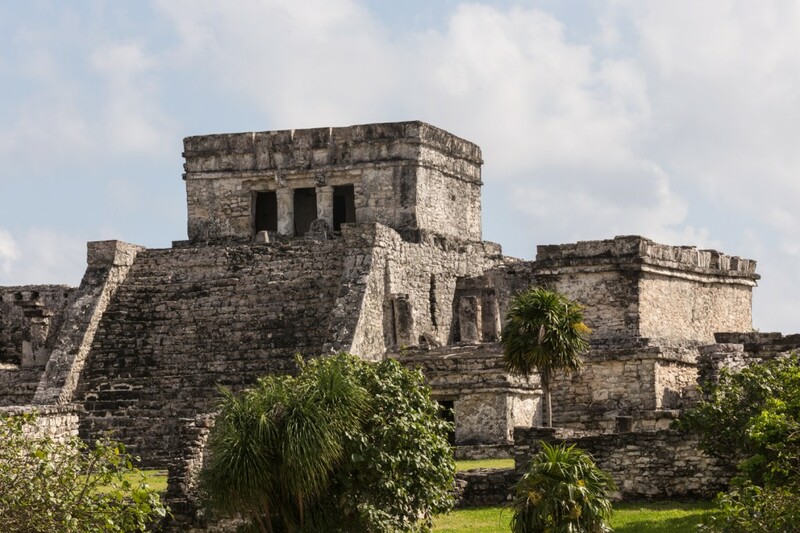 The fascinating cultural heritage of the Maya population should be explored with a visit to some of the archeological ruins. The Maya were advanced mathematicians and astronomers and their buildings demonstrate their knowledge. 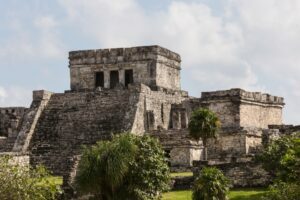 Tulum, the most sacred site of the region, is the only ruin on the coast of the Caribbean Sea and presents breathtaking lookout points and ocean views worth pondering. The walled city rose to prominence during 1000-1500 AD. You’ll see carvings and frescoes and stroll past temples and the central “castle.” For those less interested in history, wear a bathing suit and take a dip from the glorious beach at this picturesque location. The Castle stairs at Tulum. 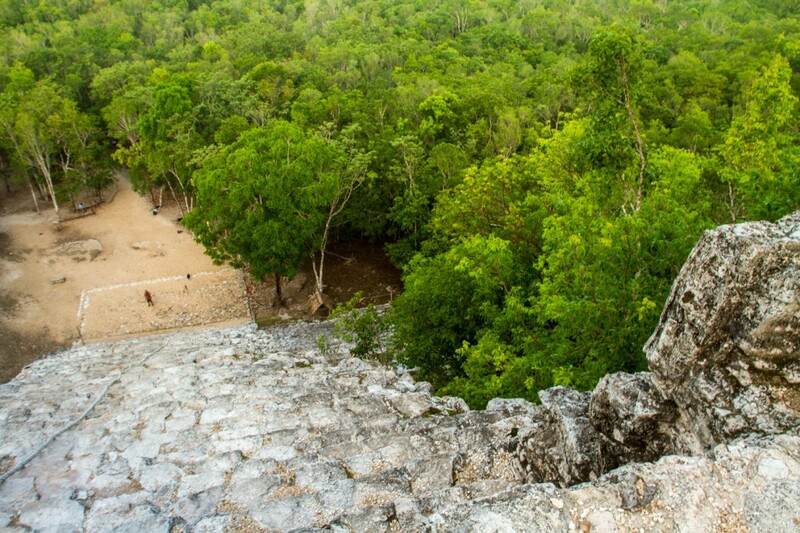 Coba, an hour inland from Tulum, was once home to 50,000 inhabitants. Thick jungle encircles the crumbling ruins giving the place a mysterious feel. 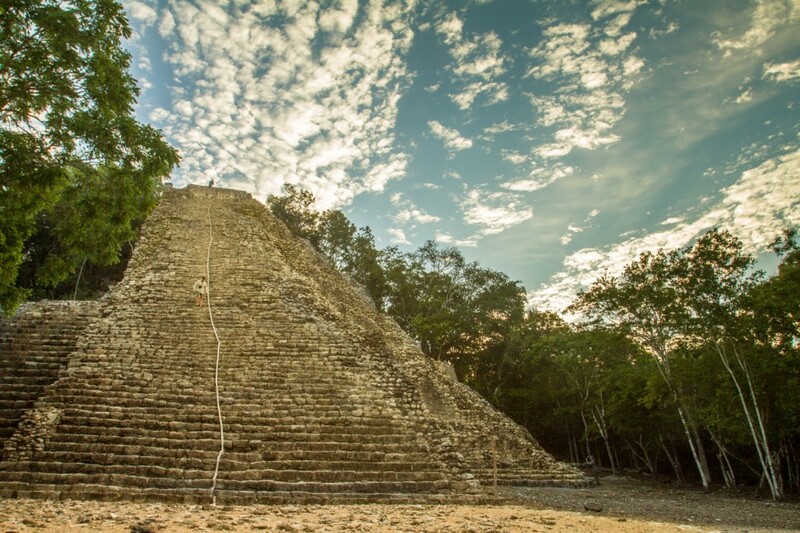 The largest pyramid, Nohuc Mul, remains one of the few that can still be climbed. Make the effort, but go early before the heat of the day makes it unappealing. 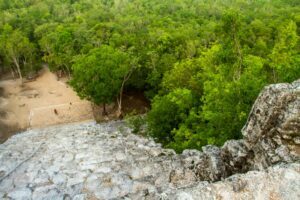 Looking down from the top of Coba. 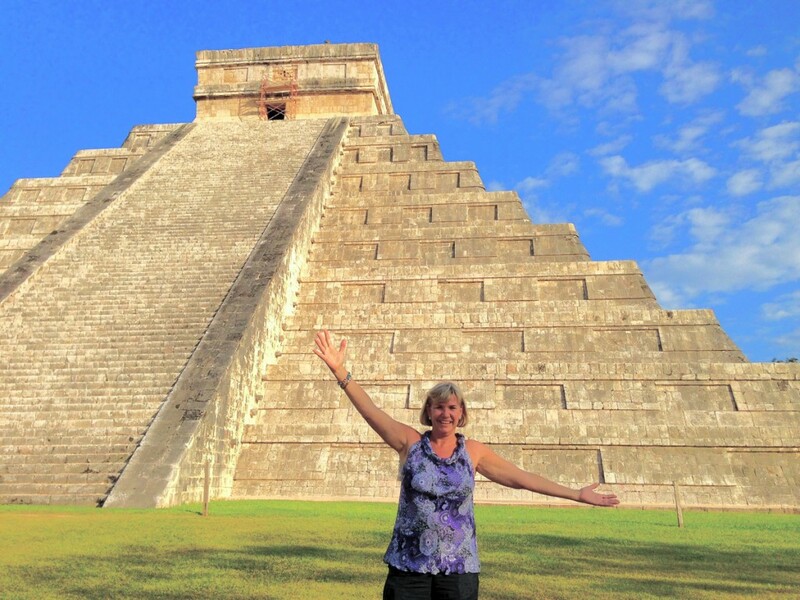 A day trip to Chichen Itza (117 miles west of Cancun) provides the best picture of the past civilizations and their complex social, political and religious ceremonies. The UNESCO World Heritage site is best explored with a guide. Be sure to see the pok-ta-pok ball court where the Maya played for the honor of victory and then faced a sacrificial death. The Platform of the Skulls casts an eerie mood but the grand pyramid, Kukulcan, commands great respect. During equinoxes, an undulating shadow called the “serpent” slithers along the side of the building’s northern staircase. This is caused by the angle of the sun hitting the nine main terraces. Too cool off, cenotes or underground lakes make popular swimming holes. 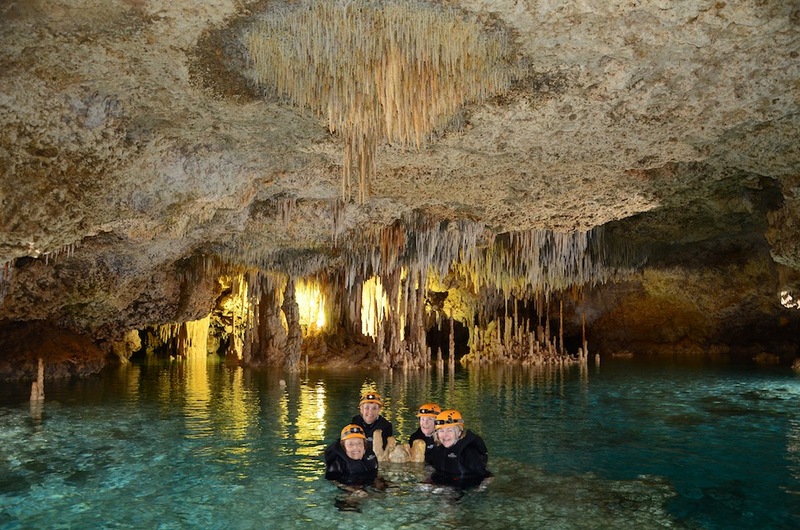 Wading and swimming through Rio Secreto is particularly appealing because of its striking cave formations including stalactites, stalagmites and columns. Xcaret, a Mexican version of a Disney park, offers historical recreations as well as a water park. The evening folklore show, starring hundreds in elaborate costumes, can’t be beat. 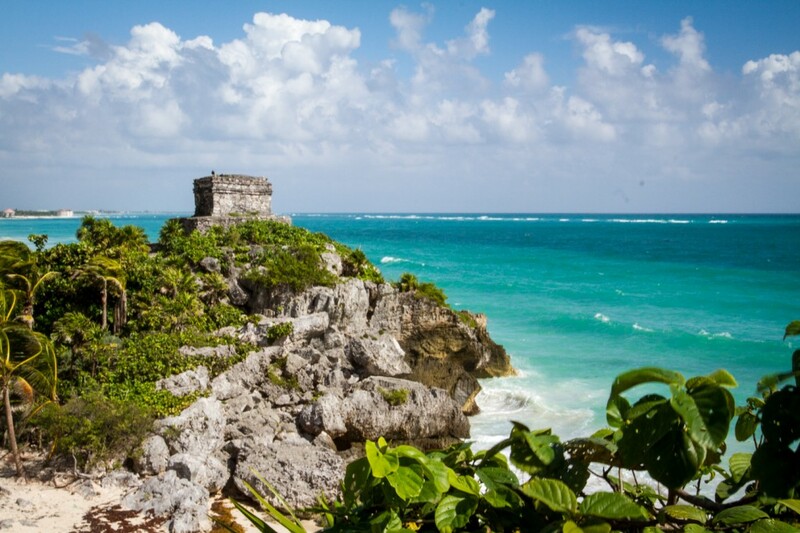 I’d rank it and the Riviera Maya as must-see place for 2014. Disclosure: I was flown to Riviera Maya, Mexico for a media trip hosted by Interval International. All photos copyright Debi Lander except Rio Secreto.